When you combine that with other astroturf and public manipulation schemes that hide the identity of these special interests, the end result is, to use investigative journalist Sharyl Attkisson's term, a Truman-esque fictitious reality, where medical journals, doctors, media and presumably independent consumer groups all seem to be in agreement. The problem is it may all be false. Attkisson is a five-time Emmy Award-winning anchor, producer and reporter whose television career spans more than three decades. In 2009, she blew the lid off the swine flu media hype, showing the hysteria was manufactured and completely unfounded. At the time, I interviewed her about these findings. I've included that fascinating interview below. Three years ago, she left CBS to pursue more independent venues of investigative journalism, and wrote "Stonewalled: My Fight for Truth Against the Forces of Obstruction, Intimidation, and Harassment in Obama's Washington" — an exposé on what really goes on behind the media curtain. "It's a perversion of grassroots, as in fake grassroots. Astroturf is when political, corporate or other special interests disguise themselves and publish blogs, start Facebook and Twitter accounts, publish ads and letters to the editor, or simply post comments online, to try to fool you into thinking an independent or grassroots movement is speaking. Astroturfers seek to controversialize those who disagree with them. They attack news organizations that publish stories they don't like, whistleblowers who tell the truth, politicians who dare to ask the tough questions and journalists who have the audacity to report on all of it." If you're like most, you probably rely on certain sources more than others when it comes to information. WebMD, for example, dominates for health information, Snopes for checking the latest rumors and Wikipedia for general facts, figures and details. Attkisson has a great deal to say about Wikipedia, calling it "astroturf's dream come true." Wikipedia is advertised as a free encyclopedia, where information is added and edited by the public. Anyone can add to or edit any given Wikipedia page. Or so they say. "The reality can't be more different," Attkisson says, explaining that many pages have been co-opted and are controlled by anonymous Wikipedia editors on behalf of special interests. "They forbid and reverse edits that go against their agenda," she says. "They skew and delete information, in blatant violation of Wikipedia's own established policies, with impunity." Worse, a study1 comparing medical conditions described on Wikipedia with published research found that Wikipedia contradicted the medical literature an astounding 90 percent of the time. So, be aware — Wikipedia is NOT the place for accurate and reliable medical information. A perfect example of astroturfing occurred in 2015, when the American Council for Science and Health (ACSH) — a pro-GMO front group — attacked Dr. Mehmet Oz for reporting on the now scientifically established hazards of glyphosate. Mainstream media swallowed and regurgitated the vicious propaganda without any critical thought whatsoever. 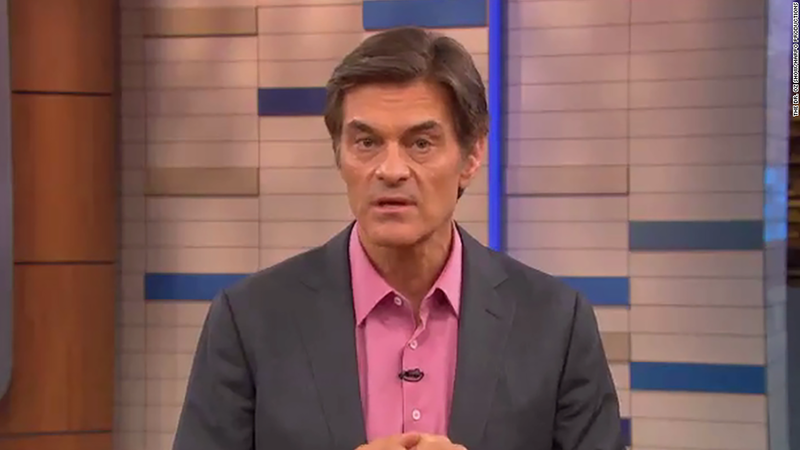 Slate magazine publicized the attack with the headline "Letter from Prominent Doctors Implies Columbia Should Fire Dr. Oz for Being a Quack." The letter accuses Oz of repeatedly showing "disdain for science and for evidence-based medicine, as well as baseless and relentless opposition to the genetic engineering of food crops." The letter was signed by Dr. Henry I. Miller and nine other "distinguished physicians." What the media failed to address is that Miller is a well-known shill for the GMO industry. In his capacity as its frontman, he was caught misrepresenting himself during the Anti-Prop 37 campaign in 2012, pretending to be a Stanford professor opposing GMO labeling, when in fact he is not a professor at Stanford.2 The TV ad had to be pulled off the air because of this misrepresentation. The latest scandal showing Miller's true colors happened in mid-August, when he was fired by Forbes magazine for submitting articles ghostwritten by Monsanto. The evidence4 against Miller emerged during the court-ordered discovery process of a class-action lawsuit against Monsanto by people who claim they developed Non-Hodgkin lymphoma as a result of glyphosate exposure (the active ingredient in Monsanto's Roundup herbicide, used by farmers and home gardeners alike). "One was stripped of his medical license in New York and sent to federal prison camp for Medicaid fraud. Yet Dr. Gilbert Ross plays up his M.D. credentials in his role as acting president of [ACSH]. Ross was joined on the Columbia letter by ACSH board member Dr. Jack Fisher. These facts are relevant in stories about scientific integrity. The scientific accuracy and motivations of the accusers matter when they are publicly challenging the scientific accuracy and motivations of somebody they are trying to get fired. We urge reporters and editors to take a closer look at the sources selling them story ideas, and to act as better watchdogs for the public interest." In short, the attack on Oz was orchestrated not by "concerned physicians" but rather by industry shills whose job it is to attack anyone who embraces a more natural approach to health and/or raise damning questions that might hurt the industry's bottom-line. I interviewed Attkisson about her book, "Stonewalled" and the downfall and deterioration of true investigative journalism in 2015. I've included that interview again for your convenience. It delves a lot further into the issues brought up in her 10-minute TEDx Talk. For example, direct-to-consumer drug advertising has created a situation where drug companies in particular wield enormous power over media. The industry spends billions of dollars each year on advertising, and this financial windfall is typically enough for any media outlet to bend to its advertisers' whims and desires. Attkisson refers to this as "soft censorship." It's when a media outlet's sponsors wield power at the corporate level over the types of stories and topics journalists are allowed to cover, and the slant they must take when doing so. It's important to realize that you simply will not get the truth from the media on certain topics for this very reason. My mission is to arm you with information that is not easily obtainable in the mainstream media about things that influence your health, for better or worse. All of my articles are carefully referenced and I rely on peer-reviewed published science and firsthand interviews with experts in various fields. My advice to you is to develop a keen eye for the hallmarks of astroturfing, and to dig deeper when faced with claims that "the science is settled." More often than not, it's anything but. Next Article Can Adults Develop Food Allergies?